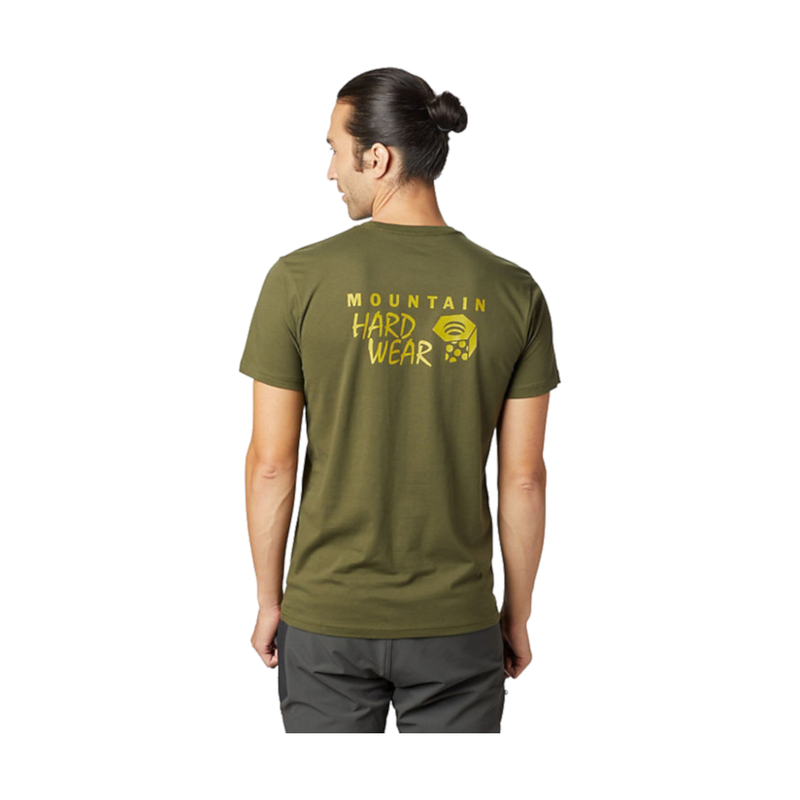 The Mountain Hardwear Men's Hardwear Logo Short Sleeve T-Shirt is a cotton-poly t-shirt with a small MH logo on the front and a larger logo on the rear. 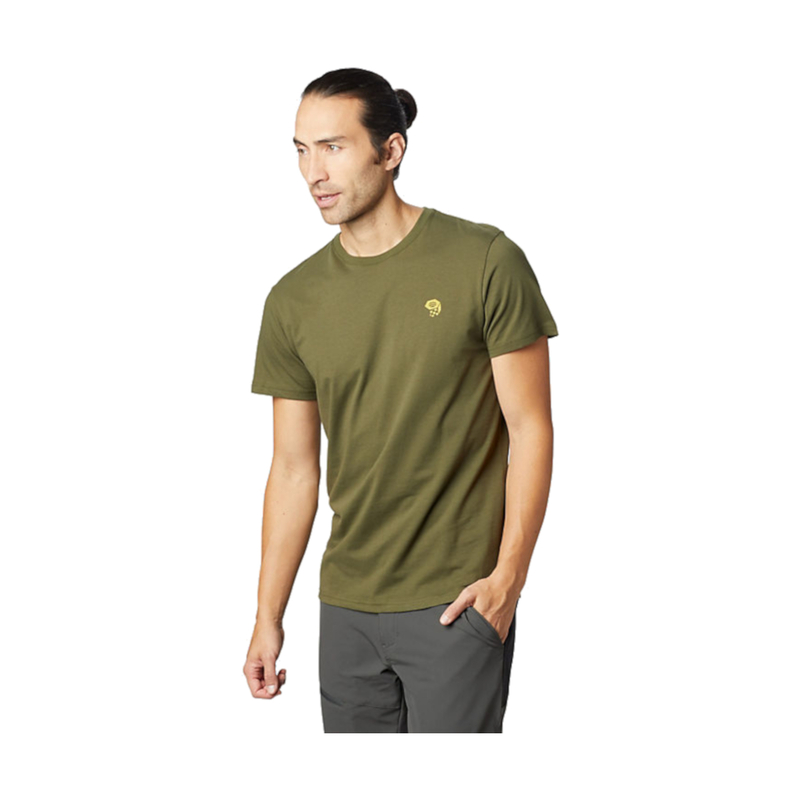 A breathable yet quick-drying tee for climbing and casual wear. • Soft cotton polyester jersey. • Hardwear nut graphic on left chest.